Care Concern was set up in 1993 to provide care to people in their own homes who want a quality service with a personal touch. We are a small independent care agency that provides a high standard of service to the elderly in their own homes in the West London area. We have stayed small and committed to our client base and can plan a bespoke care package to suit your needs. Feedback from our clients tells us that this is what they want, a local service run by local residents who employ their carers from the areas we cover. We are kind, caring, experienced and professional. Our history of success is built on reputation, the number of clients increases each year because of satisfied customers which has led to a steady flow of referrals from professionals, word of mouth recommendation and repeat business. Every person needing care and support at home is a unique individual with their own wishes, aspirations, interests, and needs which change over time. Provide personal care packages carefully tailored to individual needs which allow the elderly to remain in their own homes for as long as possible. Provide appropriate care for early hospital discharges. Do a full risk assessment of each client’s needs in full consultation with the client, their family or friends and other relevant services, to provide a totally integrated package of care and support. Ensure that all carers are fully trained and supported so that they can provide the highest level of care. Meet each individual’s needs as far as possible, with particular sensitivity to the race, religion and cultural background of each client. After your initial enquiry, an appointment for a home visit can be arranged. 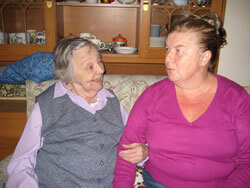 This enables us to do a full assessment of need and to match up a suitable carer to each client. This initial visit places you under no obligation and is entirely free of charge. We always do a home visit before any care package is started. Our carers cover anything from a ½ hour pop-in to 24-hour care 365 days of the year, including public holidays. The care packages are tailor-made for your needs and may include help and assistance with washing, bathing, showering, dressing, toileting, preparation of meals, and supervision of medication, shopping, hospital appointments, sitting service and respite care. We do not offer a heavy domestic service but will include light domestic duties within a package of personal care. We offer a full night service for those that need someone close at hand during the night. We provide 2 levels of night service, a sleep in and a full night duty. 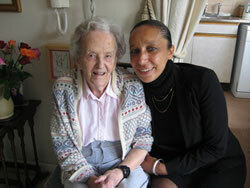 Our carers are all experienced and trained in caring. Each one is fully interviewed, police checked and a minimum of two references obtained. All carers have a full programme of training and attend regular refresher courses. In addition to this, all carers are offered further specialist training, relevant to their work. All our carers are formally supervised and monitored in their work by our senior staff on a regular basis, as required by the Care Quality Commission (CQC). Our carers are recruited locally and are carefully chosen for their experience and passion for the job. Many carers that work for Care Concern have been with the company more than 10 years and bring many life experiences to the job. We have a mixture of young and not so young carers who have all achieved the basic requirement of NVQ level 2 in social care and over half are now trained to level 3. All staff undertake mandatory training every year which includes food hygiene, health and safety, moving and handling and first aid.